Beyond a love of user interfaces and pixel-perfect design, I'm also a Ruby on Rails rockstar. Chances are if you need a website built, I can take you from conception to production. My style can be wrapped in a word: simplicity. I like to keep things clean and easy to understand. I agree with Dieter Rams that the best design is the least design. 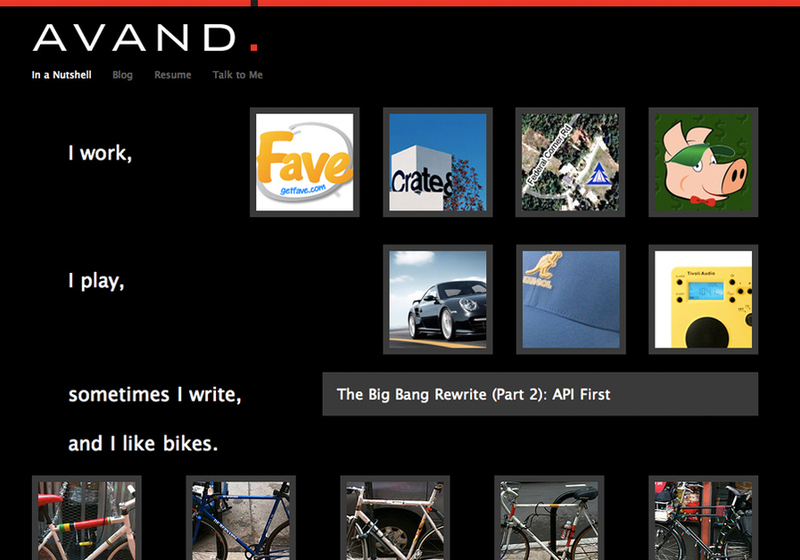 A screenshot of the latest redesign of avandamiri.com, my own personal site and blog.